The interview above also discusses the production background to this film. Its £1 million budget was raised independently from City investors and the outline screenplay by writer-director Dominic Savage was then developed through improvisation by the central characters. Having the perfect kitchen isn’t top of Tara’s satisfaction list . . . 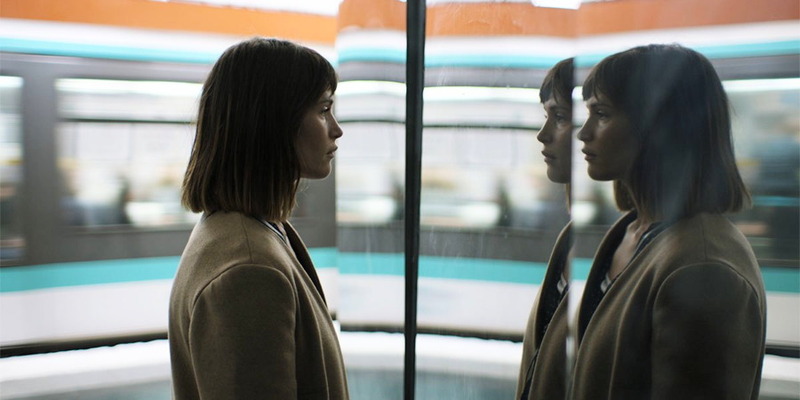 I should perhaps state at this point that I am a fan and admirer of Gemma Arterton’s work and I see her, alongside Maxine Peake, as one of the UK’s foremost actors from a working-class background. For me her career began unfortunately in blockbuster mainstream films (which I haven’t seen) which she herself now tends to disown. 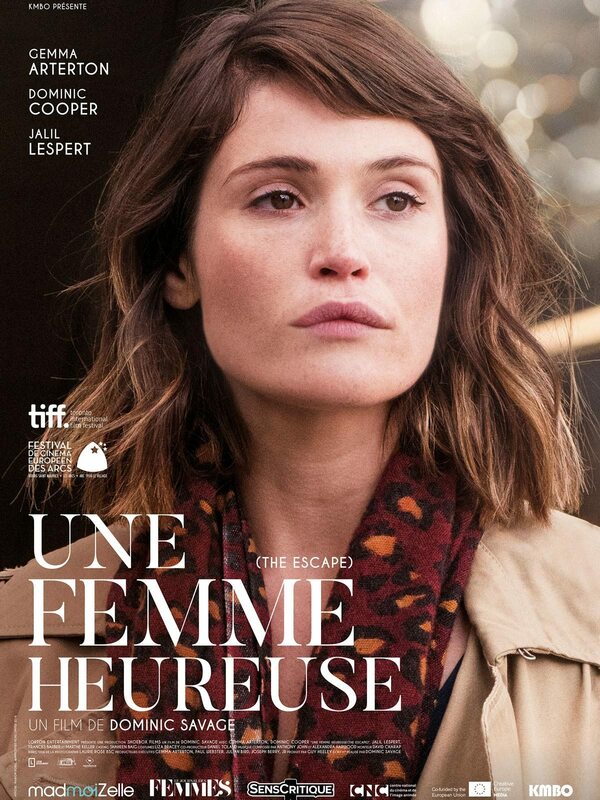 I have seen several of her lower budget films but The Escape is different because of her own personal involvement in its production. Dominic Savage is best known as a writer-director in TV but I have strong memories of his previous film Love + Hate (UK 2005) which was set very carefully and precisely in Blackburn and imagined a kind of Romeo and Juliet story involving a young Asian woman and a similarly young white working-class lad. I used the film in a schools film education event and explored the representation issues in what is a form of realist narrative with sensitive casting. Savage is very interested in ‘love stories’ and The Escape shares some elements with Love + Hate, especially in its location and casting. Savage himself was born in Margate, one of the seaside towns beloved of traditional London working-class communities. Gemma Arterton was born in Gravesend, a little closer to London but still in Kent. Her co-star in The Escape, Dominic Cooper, was born in Blackheath, South-East London (on the way to Gravesend). 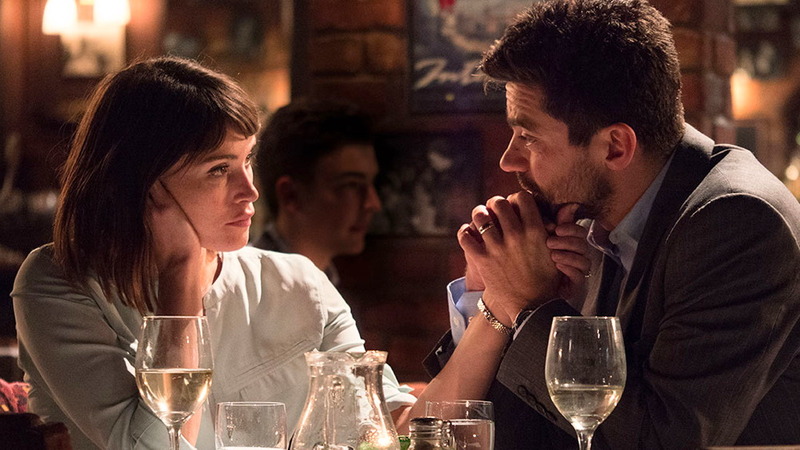 Cooper and Arterton have been paired before in Tamara Drewe (UK 2010) but here both are playing close to their roots. Because of the peculiarities of the English education system, working-class Gemma went to a grammar school in Kent while the more middle-class Dominic went to the local comprehensive, Thomas Tallis in Kidbroke. Both ended up at drama school. I mention all of this because The Escape seems to me as much about class as about gender. I think we are meant to recognise that Tara should call him out and challenge his behaviour and that the two of them should talk it through. But it has already gone too far. Tara is depressed and has become de-sensitised. This is as much about her situation more broadly than it is about solely Mark’s behaviour in the bedroom. The film feels to me like a critique of a whole way of life. At one point the camera rises and show a vista of rooftops with, in the distance, electricity pylons and the outlines of other settlements leading towards the metropolis. The rooftops reminded me of an undeservedly long-forgotten film, Ken Loach’s Family Life (UK 1971), his film version of David Mercer’s play about a young woman with schizophrenia, aggravated by her ‘caring’ family in suburbia. Many, many people in the UK live on modern estates like this in identical houses. I don’t know how they do it. One of the major controversies about The Escape concerns Tara’s inability/refusal to ‘look after’ her children. She finds she is just not interested in them and that her relationship with them has broken down. Mark is actually better with them. As many viewers have pointed out, men can feel this way towards their children as well, but they aren’t immediately pilloried as a result. But a woman can’t admit that she doesn’t feel for her children. Tara’s ‘escape’ begins with a trip to the South Bank in London where she buys a pair of art books from the stalls outside the NFT/BFI. Could art be her way out? When she finally cracks, she takes advantage of Kent’s transport links and hops on a Eurostar train at Ebbsfleet, heading for Paris. I won’t spoil any more of the narrative. You can probably guess some of what happens in Paris. The ending of the film is ‘open’. In fact, at the end we realise that we have returned to the sequence at the start of the film which doesn’t see Tara in the house in Kent, but somewhere quite different. Why is she there? What will happen to her marriage, her husband and her children? This is not a ‘fun film’ but it is one which will resonate with many viewers. Gemma Arteton is excellent throughout and Dominic Cooper plays ‘ugly’ very effectively. Dominic Savage uses several strategies to suggest Tara’s internal world. Laurie Rose’s camera frequently uses shallow focus to catch Tara’s face as she twists and turns in what feel like enclosed spaces, emphasised by the blurred backgrounds. I usually find this an irritating technique, but it has a real purpose here. Compositions emphasise Tara in halls, opening doors, looking through windows and in a different scenario looking out over landscapes. Many of these techniques are evident in the trailer below and in the image above. On the soundtrack the music by Anthony John and Alexandra Harwood includes throbbing bass notes as Tara’s anxiety increases. I need to repeat that this isn’t ‘feelgood’ cinema. Tara is not noble, she isn’t oppressed by money worries. She is beautiful and she is healthy. She has everything capitalist society is supposed to offer a young mother. She has a husband who may love her but who can’t understand her and hasn’t got the emotional intelligence to know what is going on. He lashes out at her and assumes he knows what is best. She doesn’t know what to do. I can see some audiences will dislike the main characters and will find the film slow and perhaps ‘boring’, but for me it is a devastating look at a failed consumer society that has become soulless. It’s no coincidence that in England today, support for the arts and ‘cultural opportunities for all’ is being cut and educational programmes are narrowing in scope. Tara’s ‘escape’ is a search for some kind of meaning. What divides her and Mark is that she can just about remember what education gave her but he hasn’t retained anything. The problem with those new estates is partly a lack of ‘community culture’ – and meaningful local relationships – Tara doesn’t have a female friend to talk to, only her not very sympathetic mother. Mark probably thinks he is ‘middle-class’ now because of his well-paid job, but it’s a myth. Perhaps we need to know more about what he feels? But then again, this is Tara’s story, isn’t it? It took me a while to catch this film, but worth the wait. I think Roy is right, the film is as much about class as gender. It is also about British class. The use of a Paris sequence speaks volumes. I also think Roy is right about the well-done style of the film. However, I did find the final sequences less effective. They seem less realist. And this is exacerbated by the accompanying music. This is low key and minimal for much of the film. Then we get either a solo piano or a piano supported by strings. I found this repetitious but also lacking in variation; as Roy points out we end up somewhere different.